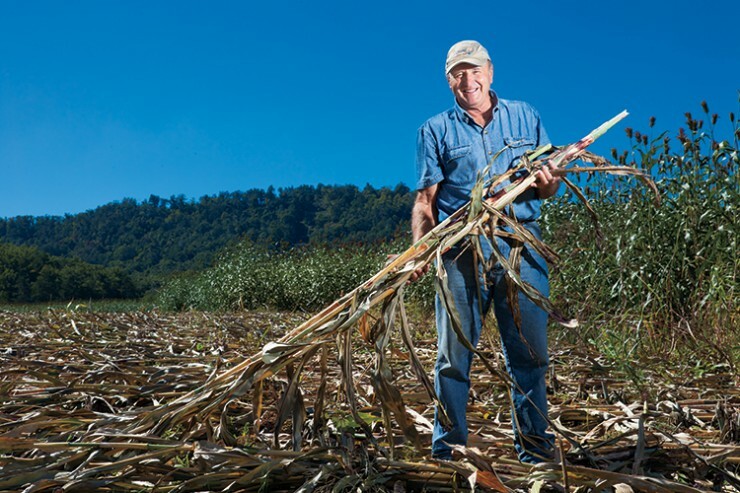 Farmer Danny Ray Townsend markets his sorghum with the Appalachia Proud brand. Eastern Kentucky is rich in agricultural possibilities. To better showcase all the 37-county region has to offer from its farmers, ranchers and producers, the Kentucky Proud brand managed by the state’s Department of Agriculture (KDA) is in full swing with its newest trademarked brand known as Appalachia Proud: Mountains of Potential. The program, which was launched by Commissioner James Comer in February 2014, has implemented a set of specific, measurable recommendations for using agriculture to spur economic development and educational achievement in eastern Kentucky. “Some of the intent with this is to have a vehicle to identify products from eastern Kentucky for people who are already producing, and hopefully inspire more people to find niches for products and let people know where they come from,” says Chris Musgrave of Knox County, who has been working on Appalachia Proud initiatives as field representative for Sen. Rand Paul. “We’ve had quite an exodus here the last couple of years because of the downturn in the coal industry,” Musgrave continues. “So there has really been a big push to try and come up with other ways to shore up the economy, and one of those is getting our agricultural base back to what it used to be or expanding it into new areas.” In a relatively short time, the program is already seeing results. In the spring of 2014, Appalachia Proud-branded sorghum produced by Danny Ray Townsend of Montgomery County was featured in dishes served during the Kentucky Derby Festival and at Churchill Downs during Derby week. Townsend Sorghum is also an ingredient in craft beer brewed by West Sixth and Country Boy breweries, both of Lexington. Townsend represents the fifth generation of farmers to work his family’s sorghum fields. In addition to Appalachia Proud, his products also carry the Kentucky Proud and Homegrown by Heroes brands, the latter a department of agriculture program that promotes products produced by veterans. Perhaps the most prominent success story is the Chop Shop in Wolfe County. Opened in October 2013 by owner Jonathan Whitt of JSW Farm in Wrigley, the meat-processing company is the largest USDA-inspected processor in eastern Kentucky and the newest in the state. The Chop Shop was named the 2014 supplier of hamburgers at Whitaker Bank Ballpark, home of the Lexington Legends minor league baseball team. The burgers’ wrapping displayed the Appalachia Proud brand to denote beef raised and processed in eastern Kentucky. Having a meat-processing plant in the region contributes to the economy. 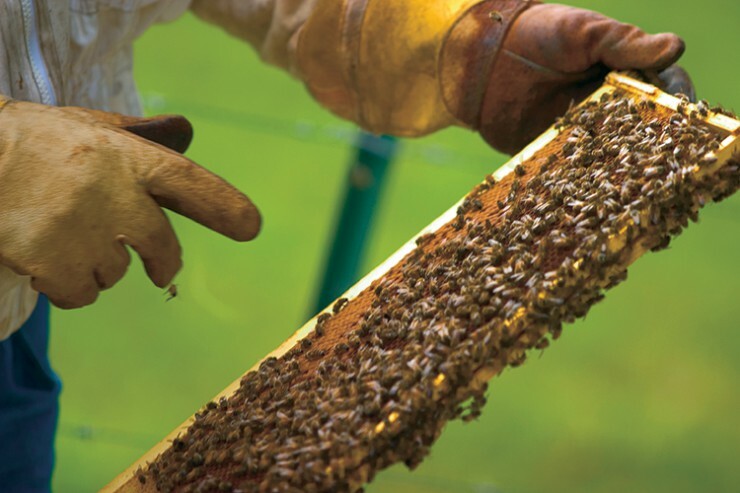 The Appalachia Proud program is also opening doors for honey in eastern Kentucky. Tammy Horn, state apiarist for the KDA, believes the association with Appalachia Proud is ideal for the beekeeping industry. Find out what’s in season throughout the year with this helpful Kentucky produce calendar, which shows when your favorite foods are available.